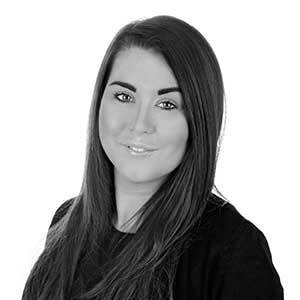 Sarah heads the logistics team at Amara; since joining the company in 2011 she has supported the consistent growth of the business and is responsible for all operational contracts, delivery, return solutions and fraud management. Ensuring the customers are at the forefront of any decisions made, Sarah has been able to ensure Amara provide their customers with an outstanding level of service. She has been pivotal in the development of international delivery integration which now constitutes for 55% of the company’s sales. In this interview for Leaders in Logistics Sarah Garvin, Fulfilment & Logistics Manager at Amara, explains what couriers still need to do to make customers happy. How can retailers proactively anticipate and meet evolving customer demands? Understand your customer: understanding your customers’ shopping habits whether it be from delivery choices, communication channels or order history, will provide companies with the correct data to enable planning for a sustainable operations strategy. Offer a personalised service: offering a personalised service can drive customer engagement, customers want to be treated as VIP’s. Offering loyalty programmes and rewards encourage customers to engage with the brand and increase customer retention. Collaborate: collaborating with other providers/ partners enable companies to offer a wider range of services ensuring you are convenient and meet customers’ expectations. How can retailers and couriers better integrate to enhance the customer journey? A number of courier’s service levels drop due the unexpected volume dispatched through the network. Retailers need to understand their trends and ensure they provide detailed predictions in advance enabling couriers to plan ahead for capacity, resources and training. Ensure your business has gained accurate delivery information along with any additional information including delivery contact details and delivery notes for drivers. Providing couriers with additional information will contribute to a successful first time delivery, which in turn reduces capacity pressures within the delivery network and increases the customer experience. Being proactive with exceptions daily will avoid any delayed deliveries. Maintaining communication with the customer whilst parcels are held within customs or within the courier network will ease any frustrations and create a personalised customer experience enhancing the customer experience. What lessons can be drawn from retailers in other countries? Ensure your business is offering a best- in –class delivery service and innovative solutions, a focus should be on returns. Ensuring you have a convenient returns solution will increase conversion and retain customers. Ensure that your pricing whether it be products or delivery charges are competitive within the market and appealing to consumers. Retailers need to ensure they take care when selecting their partners, ensuring the partner can provide services to meet the retailers requirements and manage relationships adequately. Does the partner have the resource and capacity to handle your business? Why is it important to attend Leaders in Logistics: E-Commerce Delivery / what can delegates expect to hear from you? It’s a great opportunity for the logistics industry to come together, network and create potential partnerships. If you’re interested in hearing what Sarah Garvin has to say in person, she will be speaking at Leaders in Logistics: E-Commerce Delivery on the 26th June 2018 in London. Leaders in Logistics: Post & Parcel Europe 2019 The continent’s foremost strategy-led post & parcel conference continues to bring together senior executives from Europe’s leading postal and logistics operators, but is evolving and growing in tandem with the industry.